Axle Arts is excited to announce that their Winter Show this year will be exhibited in two different locations simultaneously across the city of Bath with artworks ranging from £30 upwards. The show will be installed at their gallery address in Upper Weston as well as at Tasburgh House Hotel on the Warminster Road and will run from 22nd November through to the 9th December. Axle Arts and Tasburgh House Hotel successfully collaborated earlier this year in May with an exhibition of outdoor sculpture and ceramics sited on Tasburgh’s elegant terraces and formal gardens, overlooking the city. Visitors coming to the Art Show might be enticed to linger and stay for a night or two at Tasburgh House Hotel with an exclusive offer to Art go-ers; Stay one night and have the second ‘on the House’. The offer runs for the duration of the show. Axle Arts operates largely online but also exhibits from the home of Director Bridget Sterling, where artworks are curated and hung sympathetically in conjunction with the normal clutter of a domestic environment. Larger sculpture and ceramic are also sited in the garden, allowing the client the opportunity to see how unique artworks would look in a normal, suburban garden. Artists exhibiting include colourful abstracts from Bristol based artist Derek Balmer PPRWA, past president of the RWA, alongside abstracted figurative painting from Ukraine born Iryna Yermolova, emotionally warm woodcut prints from Frans Wesselman and abstracted pastel landscapes from Jeannette Hayes, president of the Pastel Society. 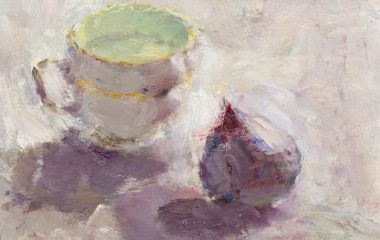 Other artists include prints from Peter Ford RWA RE, new still-life studies from Lynne Cartlidge RCA, flower studies from Adrian Parnell and abstracted landscapes from Andy Waite. Also sculpture from Rick Kirby and Dorothy Brook and ceramics from Rhian Jones, Ros Perton, Tamsyn Trevorrow and Elizabeth Rollins Scott. The exhibition will be open 10am to 5pm at Tasburgh House Hotel from 22nd November to the 9th December, to run concurrently with the Bath Christmas Market. The gallery in Upper Weston will be running three open weekends; 10am to 5pm on Saturdays and 11am to 5pm on Sundays on the 24th and 25th November, 1st and 2nd and 8th and 9th December. The gallery is open by appointment at all other times, please call 01225 461230 to arrange a viewing.